Heat oil in a skillet. Fry chopped bacon until crisp and set aside. 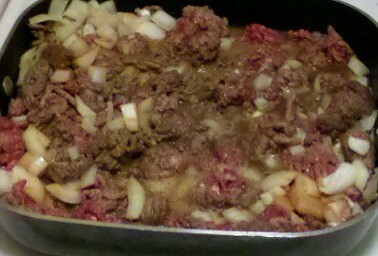 In the same skillet, add the ground beef and cook until browned. Break the meat into smaller pieces as it cooks. 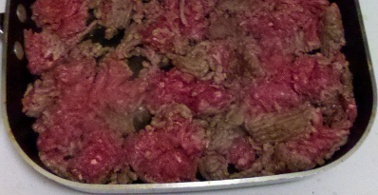 Add the onion, shallots, and garlic, mixing into the meat. Add the hot sauce and Worcestershire sauce. Season with salt and pepper if desired. Add the beer. Let it cook for about 5 minutes. 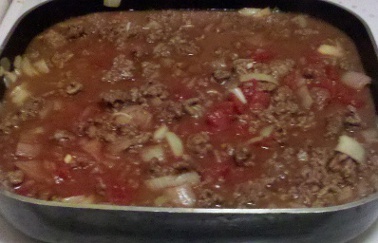 Add the tomatoes and tomato sauce and cook for another 5 minutes. 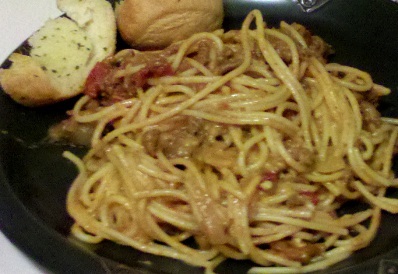 Once the sauce has thickened some, add the sauce to the noodles. Make sure to use a large bowl. Add the 2 cups of shredded cheese. Mix and serve.